The IEL for Media Law intends to offer a country-by-country survey of media law throughout the world. It will survey each country's media landscape and analyse the laws governing press freedom, including those concerning access to information, defamation and privacy. Each national monograph will outline the regulatory structures controlling print and electronic media (radio and television, but also new media, like online and mobile services) in these countries. Legal acts, case law, as well as ethical codes used by journalists, will be presented and analysed. Among the key issues to be covered are: digitalisation, convergence, the 'Information Society', cultural policy, freedom of speech, media concentration and pluralism, protection of minors, hate speech, the regulation of broadcasting and electronic communications markets, advertising rules, co- and self-regulation in online and mobile media, public service broadcasting, competition policy, access to digital gateways, standardisation and interoperability, liability of intermediaries. 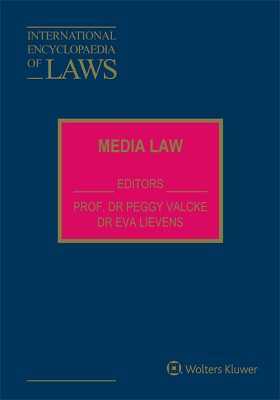 These issues will be addressed by describing the relevant legal rules in a thematic, logical and concise manner from a practitioner's viewpoint, offering media lawyers, journalists, attorneys, judges, teachers, students and others concerned with media and communication freedom a practical tool to access existing media law in a certain jurisdiction. his monograph will also include a chapter dealing with the EU regulatory framework for audiovisual media (in particular the Television without Frontiers Directive, soon to be replaced by the Audiovisual Media Services Directive), against the background of the economic freedoms in the EC Treaty, as well as the relevant articles in the EU Charter of Fundamental Rights. Each monograph will offer a comprehensive and clear overview of relevant legislation, case law and doctrine, and will hence constitute an invaluable reference source and easy-to-follow guide. Each monograph will offer a comprehensive and clear overview of relevant legislation, case law and doctrine, and will hence constitute an invaluable reference source and easy-to-follow guide.